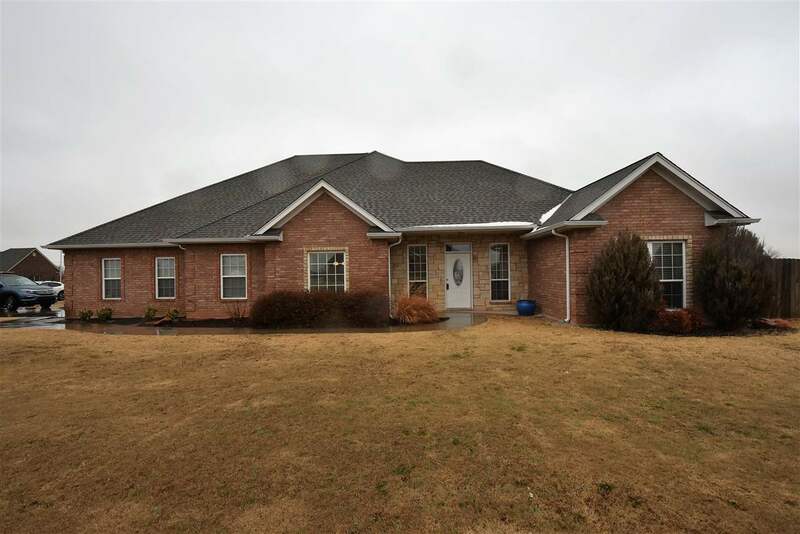 Attractive, well cared for home with 3 bedrooms, 2 baths, formal dining room, and separate office with built-in desk. Open floorplan with nice sized living area with fireplace and surround sound. Eat-in kitchen with large breakfast bar, and plenty of workspace and storage. Large utility room with loads of storage and folding space. Master bedroom has spacious walk-in closet, Jacuzzi tub, and separate shower. Privacy fence with steel posts, and above ground pool. Pool is 5 years old, uses chlorine and has a new pump. Home has water softener that is leased from Culligan, water heater is new, and blinds. All this and more located in Elgin school district and a short commute to Lawton-Fort Sill. Dining Room Size: 11&apos;0" X 12&apos;3"
Kitchen Size: 16&apos;9" X 11&apos;0"
Living Room Size: 19&apos;3" X 17&apos;0"
Master Bedroom Size: 13&apos;4" X 10&apos;4"